Holy Moly! Today was such a busy day, so I'm blogging a little later than usual. I was literally RUNNING out the door to get downtown today to turn in a paper. As I sprinted like there was no tomorrow, I was begging out loud that my UGG boots wouldn't slip on the ice-covered sidewalks. In case you all haven't noticed, those things are amazing for warmth, but not so much for traction! Thankfully, I made it downtown sans accident and just in time to turn in my paper. So, being that I am a student (ALMOST DONE! ), sometimes studying for hours on end, I often get the snack attacks. I have found it difficult to find healthy snack options that will get me through to the next meal, but are not packed with ingredients that leave me feeling icky. I aim to do about 2 snacks a day, 1 between breakfast & lunch, and another between lunch & dinner. I know this sounds like a lot of food, but eating small meals throughout the day is a great way to keep your metabolism going. I have definitely noticed a difference since I've switched to this type of eating schedule. Greek yogurt is surprisingly much better for you than the other "light" yogurts out there. It is packed with protein and has virtually NO sugar, which the regular kind is sneaky-packed with. Greek yogurt is also YUMMY. It has a thicker, creamier texture that really makes you feel like you're having a treat. One mistake I made was the first time I tried Greek Yogurt, I tried the "plain" kind. This stuff literally tastes like sour cream (tip: it can actually be used as a healthy alternative to sour cream). That was NOT what I was expecting & I had to throw it out. Definitely go for a flavored Greek Yogurt! My personal favorite brand for the taste, portion, nutritional value, and price, is CHOBANI. I like the Vanilla Flavor & Justin's favorite is the Strawberry Banana! My favorite way to eat the yogurt is mixed with a little handful of BARE NAKED all natural, whole grain granola. 2) Almonds: Try a handful (1/4 cup) of fiber and protein-packed almonds for a quick satisfying snack. My go-to nuts are Emerald Dry Roasted Almonds. 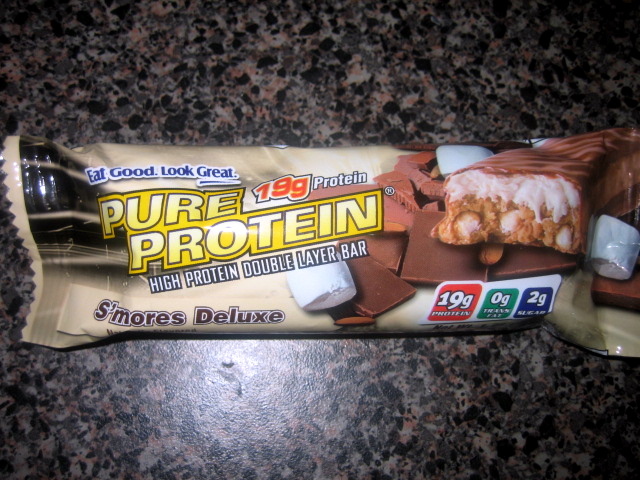 3) Kind Bars: I'm sure everyone has their go-to bar, and this is definitely one of mine. KIND bars are all natural fruit & nut bars and they are now sold all over. I will say, they are a little sticky, so be prepared to wash your hands after you snack. My favorite flavor is the Almond & Cranberry. While I'm on the subject of bars, for all of you guys out there (I hope there are at least some of you reading!) who are trying to maximize your protein intake and minimize carbs, Justin suggests Pure Protein bars. He did a lot of research on protein bars when he was doing P90X, and found these to have the best combination of carbs, protein, and, most importantly, TASTE. They are also low glycemic. He recommends the Chocolate Chip, S'Mores, Cookies & Cream, and Strawberry Shortcake flavors. I finally tried Vita Tops after reading about them on NEWtrition, another great blog that you all should check out! I was a little skeptical and thought they might taste like chewing on a vitamin, and NOT one of those gummy bear vitamins. Boy...was I ever wrong! 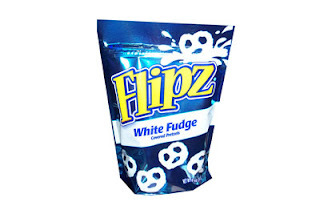 These things are crazy-good. They taste like a double chocolate chip dream. And only 100 calories for you counters! Incredible! So, if you're like me and you find yourself craving a pastry to go with your coffee (or, if you're really like me, your SKIVIZZLE! ), before you grab for that "Reduced Fat" Banana Chocolate Chip Coffee Cake at Starbucks (390 calories and 51 grams of sugar, woah buddy! ), keep some of these little treats in your freezer at home or at work! The kid in me still loves a piece of whole wheat toast with peanut butter! This is a good snack that combines carbs & protein. As I told you guys before, I like the Jiff Natural Peanut Butter because it is all-natural (duh.) and it's very low in sugar. I have also heard that almond butter is really good for you, but I have yet to find a kind that doesn't taste like pure tree bark. If any of you know of a better-tasting brand, please let me know! 7) Fruit! Ok, so this one is kind of a no-brainer, but who doesn't love a good piece of fruit as a snack! I really LOVE strawberries, and I always take a big bag to work in the warmer months to mix in with my morning oatmeal or snack on by themselves. I can't wait until they are finally good again, because right now they look pretty scary at our grocery stores and I'm not in the mood to pay $7 for them at whole foods. Hey.... how'd these get in here?! Ok, ok, I confess, I am OBSESSED with these things. Something about the sweet mixed with salty mixed with crunchy...it really gets me! I cannot resist buying them whenever I come across them at a store. If there's a snack you really love, even if the main ingredient might be cellulite, don't beat yourself up about it! Just do your best to portion control and you will get out alive, I promise! I am always looking for new snack suggestions because I think this is one of the hardest "nutrition" cases to crack! What have you all been doing lately for those snack attacks? you HAVE to try Beanitos! Right now, they are at Woodman's and soon to be Jewel in the area. They are chips that are actualy made of beans, so they are packed with fiber and are actaully... HEALTHY. And addicting!